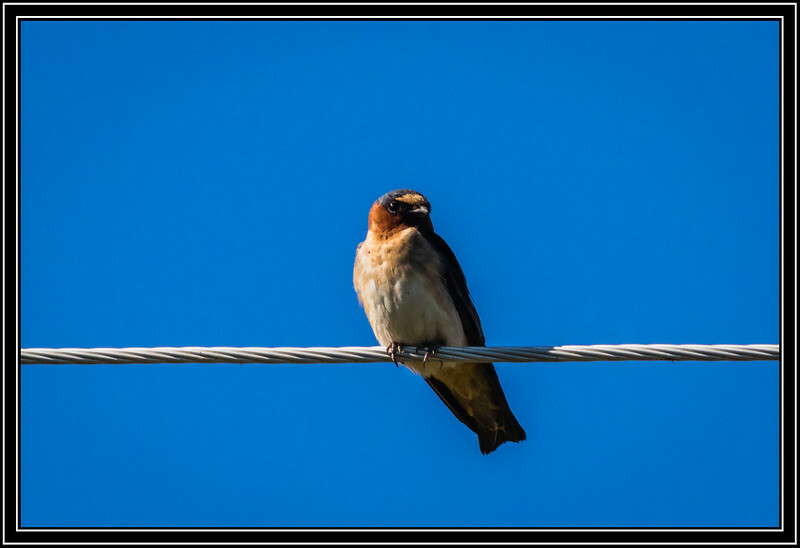 Wonderful capture of this Barn Swallow. Cannot mistake a swallow ! Classic 'bird on a wire' shot! That's a wonderful shot of this little guy! Nice details in this shot of the swallow. Beautiful shot. Perched like this is the only way I would ever have a hope of capturing a good shot of a species like this swallow that is born to move, and keep moving.